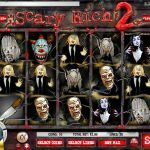 If you liked Scary Rich then Scary Rich2 is the sequel and an improvement comparing to the older version. Like with the previous version you are tasked here with hunting scary monsters at a haunted graveyard. The Wild symbol in this game is the Coffin symbol and will substitute other symbols to create a winning combination. Also landing 2, 3 or 4 wild symbols will give you a 3x, 6x and 13x multiplier on your wins. The scatter symbol in this game is the Werewolf symbol and landing 3 or more will win you 13 Free Spins. Also, landing the wild in this symbol will expand it over the entire reel and give you a 3x multiplier. I guess people liked Scary Rich otherwise we don’t understand why Rival created another version for it. This game is lacking in bonus features and also the graphics is pretty basic. If you like hunting monsters? 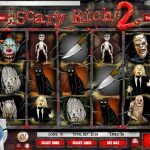 Try playing Scary Rich a 5 reel slot by Rival.